The current version of the UBA software is only designed to run on Microsoft Windows. It can be run on Linux using a free Windows compatibility program called Wine. This application note explains how. 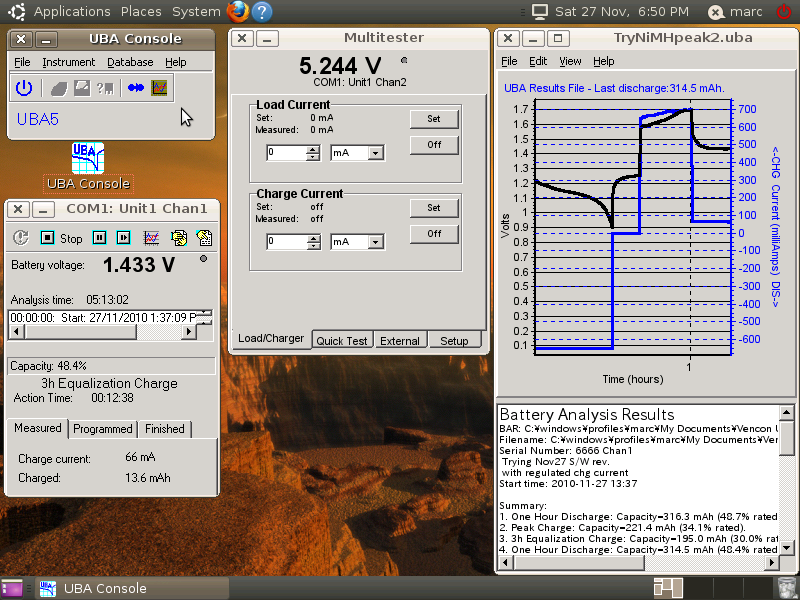 UBA S/W running on Linux can be seen in this screen shot. When we first wrote this application note back in 2003 there was a whole procedure that needed to be followed to get the UBA S/W to run. Now thanks to the effort of the Wine developers, the S/W installs and runs without any problems. We used the latest version of Ubuntu (version 10) which loads Wine version 1.20. So here’s the procedure: run the UBA S/W installer under Wine from a USB key, CD or download. Follow the install instructions and you’re done. Comments, questions, accolades? Let us know.